Two weekends ago, we were really looking forward in starting a wall with the mighty MEAR ONE. But the heavens looked down upon us and decided to piss all over our big day. It was raining cats and dogs on Sunday and when Mear tried to spray the wall, it just kept running off. So, the wall has been postponed for a later date. 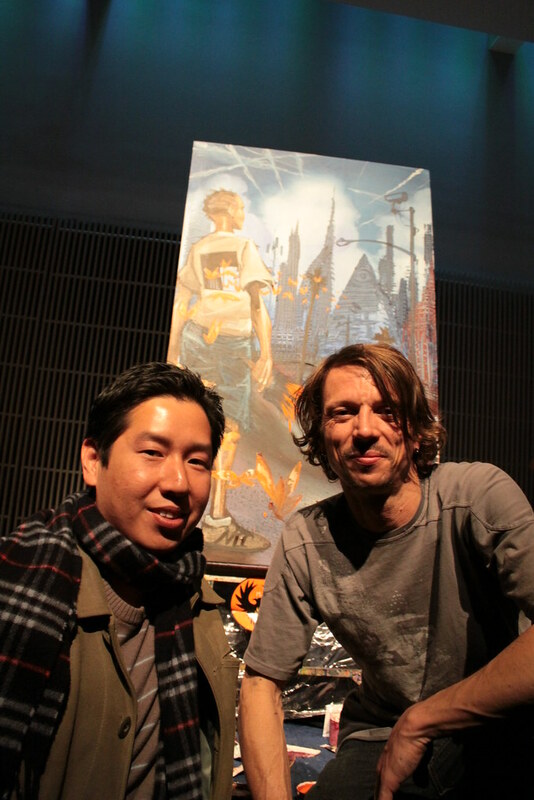 We did catch him at YBCA‘s Big Idea Night creating a live painting. He was able to paint this masterpiece in a couple of hours. The vibe that Mear was giving off was positive and the crowd was really feeling it. 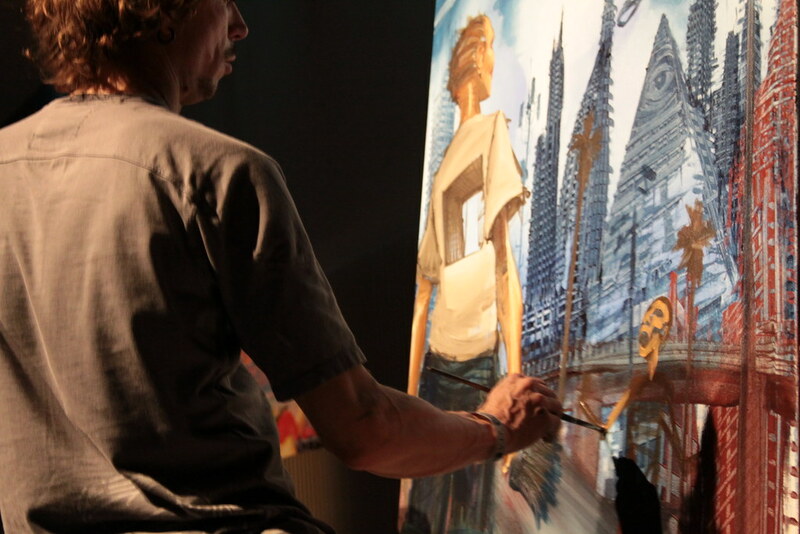 All we got to say is, DAMMMNNN, Mear One really knows how to throwdown. 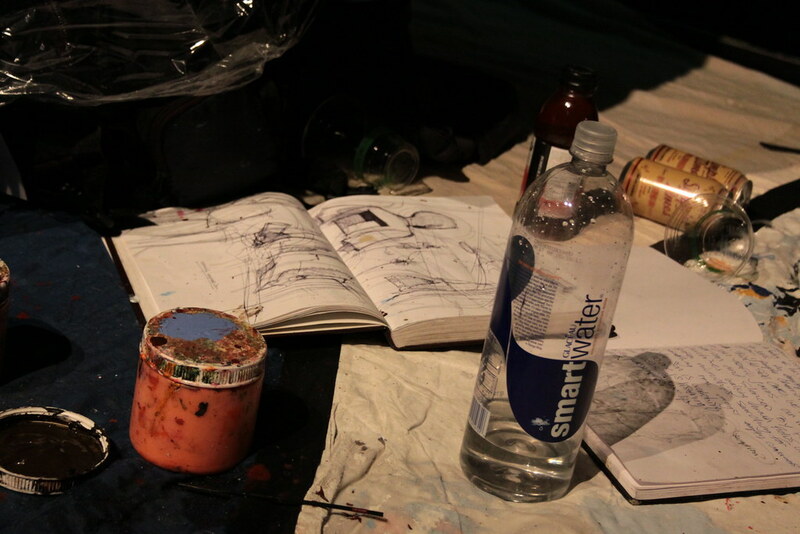 All Mear One needs, paint, water, sketch book, journal and beer.